Today’s guest post comes comes from Alex Bryan and is part of our National Leaders Spotlight blog series profiling AmeriCorps Alums National Leadership Award Winners honored for their lifetime of service. This post is also part of AmeriCorps Alums’ REALTalk series on race, equity, and AmeriCorps alumni as leaders. Alex served in 2005 and 2010 with CA Conservation Corps and Greater Lansing Food Bank. He now works at the food bank and manages a community garden support program and a farm business development program. In addition, Alex serves as Board President of the National Young Farmers Coalition and co-owns a 4-acre urban farm in Detroit called Food Field. As the holiday season approaches, life tends to get very busy at the Greater Lansing Food Bank, where I work. This is the season of giving that draws dozens of groups and hundreds of individuals looking to lend a hand and sort food or serve a hot meal to someone in need on Thanksgiving Day. This kind of support feels good, looks good, and does make a big difference in any community. I also think of it as an entry point into a larger and longer term body of work concerning food justice. 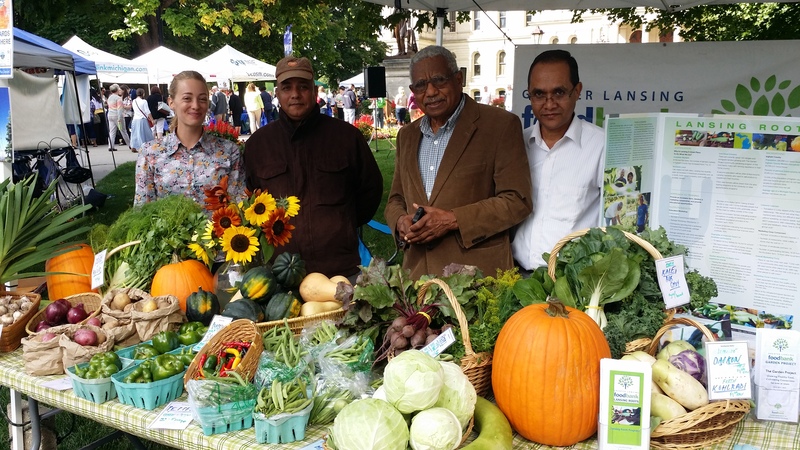 Lansing Roots farmers at the Market, a local agriculture showcase that takes place three time a year on the Capitol lawn. Many Lansing Roots farmers are refugees and immigrants from Bhutan, Somalia, Ethiopia, and elsewhere. I tend to be a bit more insulated from this surge of holiday support in my role as head of the Garden Project and Lansing Roots programs. These programs provide support to community gardening and farm business development for lower-income families looking to grow their own food. We call it a hand-up rather than a hand-out and offer many leadership and empowerment trainings so individuals can start their own community gardens or farms in our region (or beyond). The leadership training is very similar to that offered by the American Community Garden Association, called Growing Communities Workshop. When thinking about food justice, I can’t help but interlink the concepts of sovereignty and democracy into the subject. At its core, food justice is about giving you the ability, resources, and education to make and act on decisions concerning food for you and your family or community. Any one of three components by themselves is not enough. For example, the food bank may be able to give out healthy and nutritious dried beans (access), but if you don’t know how to cook them (education) or don’t have the pot or stove to cook with (resources) then what is the point? 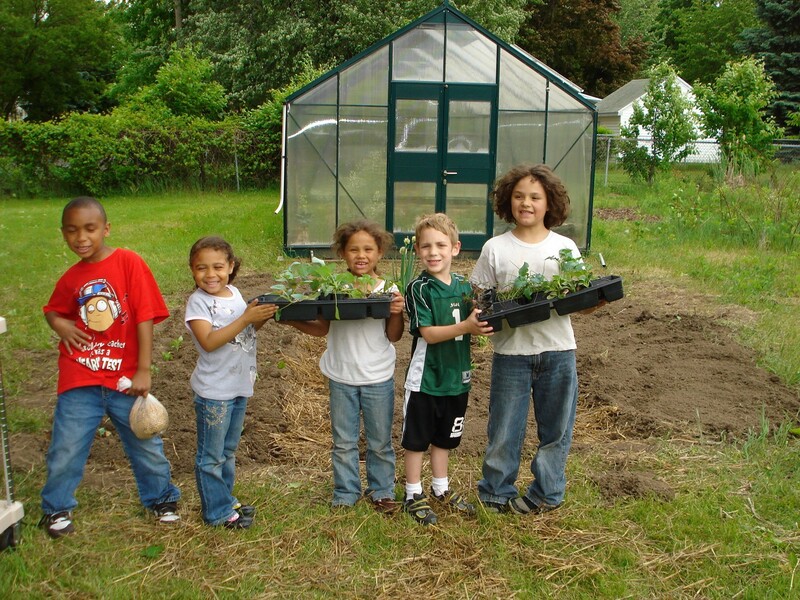 Children participating at North Elementary School garden created by a partnership between the school and community. Neighbors can grow on site in addition to on raised beds and use the orchard for education. Food democracy is about intentional transparency and creating opportunities for a community to make choices about the food they want to eat. Is the food Organic? Were the farmers paid a living wage? Is it culturally appropriate? This could mean creating more community gardens and farms or it could mean restricting the use of pesticides and other harmful byproducts of agriculture. Similarly, if the food you eat pollutes the water and doesn’t pay the farmer enough to live, then we’re simply transferring a problem of food access to a new problem of poverty and poison for the farmer. The point being that the food system is complex and deserves the voice of everyone affected. Northwind Community Garden near Lansing, Michigan is a quick stop on the annual walk, bus, or bike community garden tour, held by the Garden Project. 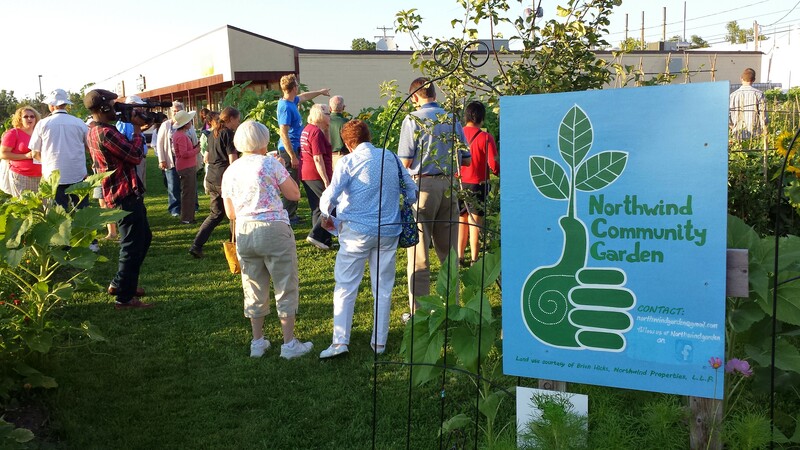 Northwind Garden is a partnership between community members, the Garden Project and a private landowner. Lastly, we must have patience and know that this change does not take place overnight. Every small piece of support does make a difference and helping to sort food at the local food bank may only be a short term solution to hunger in the community, but it is a very necessary solution (it turns out, people do need to eat regularly). As the holidays approach and you, your friends, or family feel a need to contribute, please seek out your nearest food bank. They need your help, so find a way to get involved. But, consider trying to find a way to stay involved in the future. People are just as hungry in March as they are in November – December, and there is much less help at a food bank in March. For more information, I encourage you to visit the websites WHY Hunger and Johns Hopkins University’s Center for a Livable Future page to learn more about how diet, food production, the environment and human health are all connected. 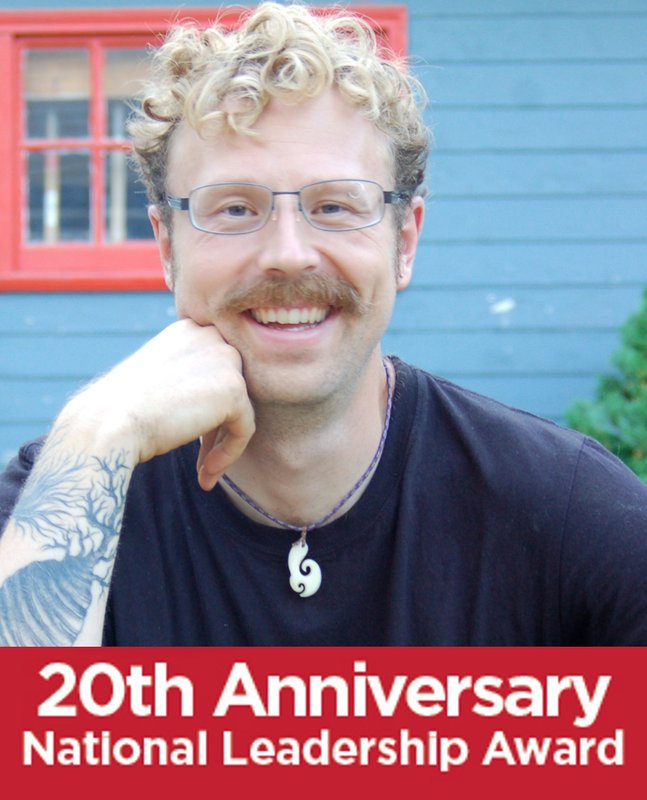 If you prefer blogs, read anything by Andy Fisher, Co-Founder and Executive Director of Community Food Security Coalition, and if you want to get involved, find your closest community garden or food bank.